The Republican obsession with repealing Obamacare continues, no matter that a Republican appointee on the Supreme Court provided the vote to determine its constitutionality. No matter that people rejected the party&apos;s presidential ticket-- which ran on the premise of repealing the law on the first day of their term. The Republican-led U.S. House has voted to repeal the law 33 times, with a new effort underway already in the 113th Congress sponsored by Rep. Michelle Bachman. And now the U.S. Senate, where we have come to expect a bit more reason, has a new GOP sponsored bill to consider which would eliminate the Affordable Care Act’s individual mandate, thus rendering it useless by uncoupling its programs from its funding mechanism. The law calls for fines for federal officials of up to $5,000 and jail time up to five years. South Carolina Gov. Nikki Haley, who has refused to set up a state health insurance exchange to comply with the ACA, has been non-committal about the proposed law to criminalize its implementation. New Jersey, Oklahoma and Maine are considering similar bills. “Eight of the nine Republicans also have gone on record saying they also want to write a law that would see airport screeners charged with sexual assault if they conduct overly invasive pat-downs of passengers going through security. 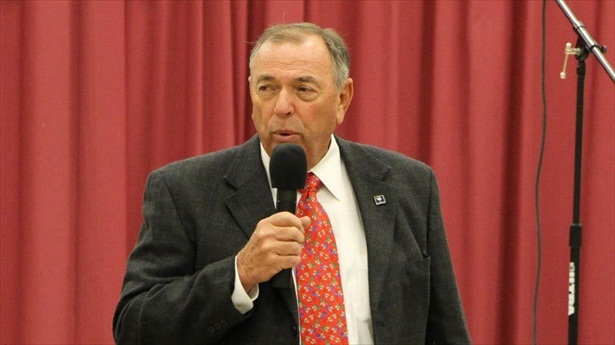 In South Carolina, State Sen. Bill Chumley, a member of the Sons of Confederate Veterans, is behind the big push to criminalize the ACA. He’s sponsoring rallies and trying to build up grassroots support. What in heaven’s name is this about? Why this continued push against a government program that was first conceived by the Heritage Foundation, cradle of the country’s conservative thinking? I could say it again, as I’ve said before and suspect I’ll say again. But then I’d just get accused of uselessly pulling out the race card.